Believer, curious or devotee, you enjoy taking time to head out and discover history, others and yourself in relation to religion. For the spiritual and cultural depth it provides you, for the calm that simple contemplation of these monuments, these sites or these works of art provide. 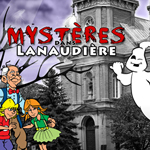 The Route des Clochers will take you for a drive from one religious heritage site to the next, from one magnificent church to another. 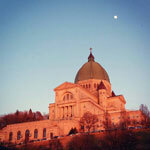 The Oratory welcomes you in all its splendour and nobility. 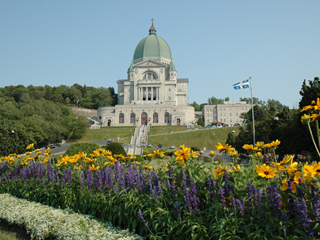 You are on a pilgrimage down Quebec’s roads, attentive to that which will deepen your religious culture, to museum exhibitions that will help you discover the different aspects of religion, the buildings that wear its mark. 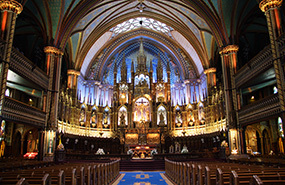 From the sound of the organs ringing to the lustre of frescoes that impress, you will be there to take it all in. 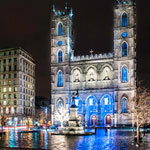 The Notre-Dame Basilica of Montréal, a Stunning City Jewel! A dose of amazement and wonder is closer than you think.